To create, to offer, and to provide qualified lower income families with the best opportunities for safe and decent housing and communities and to provide the resources to become financially independent. 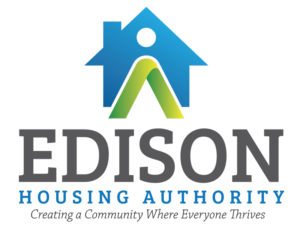 Edison Housing Authority seeks to establish a community where residents can thrive in secure, affordable housing and can strive to reach economic self-sufficiency through support and training, thus improving their lives. Partnerships: Housing that fits the needs of every member makes the community stronger and more secure. By partnering with neighborhood organizations, local and state governments, private sector developers and property owners, and supportive service providers, the EHA contributes to the prosperity of Edison. Creating and sustaining urban communities offer all citizens growing opportunities for creating better lives on common ground and with dignity. EHA offers residents offers a variety of programs, workshops, and seminars with the goal of financial self-sufficiency and/or homeownership. EHA hosts a full calendar of activities that bring residents together. EHA believes that socializing with neighbors is the best way to cement a community.